Philo TV is a live television streaming service that allows cord-cutters to watch some of the most popular cable channels without a cable subscription. To use the service, you need to have a high-speed internet connection and a compatible device, like a computer, tablet, or smartphone. You can also use a set-top box like Roku to stream live television right to your actual TV. The main difference between Philo TV and cable television is that Philo is extremely streamlined. There are only two channel packages, and both are less expensive than either cable or other online streaming services. Unlike many other streaming services, Philo doesn't have local channels like ABC and CBS. The channel lineup is also relatively light in terms of news and sports, although both of the subscription plans do include BBC World News and the Cheddar financial news network. Philo also features many of the most popular cable networks, like AMC, Nickelodeon, MTV, comedy central, and more. The service was originally marketed to budget-conscious college students, which makes it an attractive choice for many cord-cutters looking to reduce their monthly television bills. In addition to traditional cable and satellite services, Philo also has a number of direct competitors that offer live television online. Services like Sling TV, Vue, Youtube TV, DirecTV Now, and fuboTV all offer a variety of live television that you can watch online. Other streaming services that cord-cutters look to for entertainment, such as Netflix and Amazon Prime Video, don't offer live television. These services feature on-demand television episodes and movies, but they don't offer the type of live streaming television that services like Philo TV provide access to. Input your mobile phone number and hit enter. On the next screen, enter the code you receive via text message. That's really all there is to the initial sign up process. Simply entering your mobile phone number gets you free access to the Philo streaming service. During the free trial period, Philo will contact you via text message or email with information about the signup process. During your free trial, you will need to choose a plan and enter your billing information. If you wish to continue your free trial, you will need to choose a package and enter your billing information. If you aren't already logged in, input your mobile phone number and hit enter. Enter your billing information, and click on the arrow. This will complete the signup process. If you have any time remaining on your free trial at the time you finalize the process, you will still receive that free time. Otherwise, you will immediately have to pay your first-month subscription charge. Philo offers two channel packages. 37 Channel Package: Includes 37 live basic cable type channels, including popular networks like AMC, BBC America, Comedy Central, and Discovery Channel. 46 Channel Package: Includes all of the same channels, and adds nine additional networks like Nicktoons, MTV Live, and Discovery Family. Does Philo TV Have Local or Sports Channels? The main weakness of Philo is that the service does not include local channels, and it lacks any dedicated sports channels. If local channels and sports are important factors to you, then the lower subscription fee offered by Philo may not be enough to offset that. 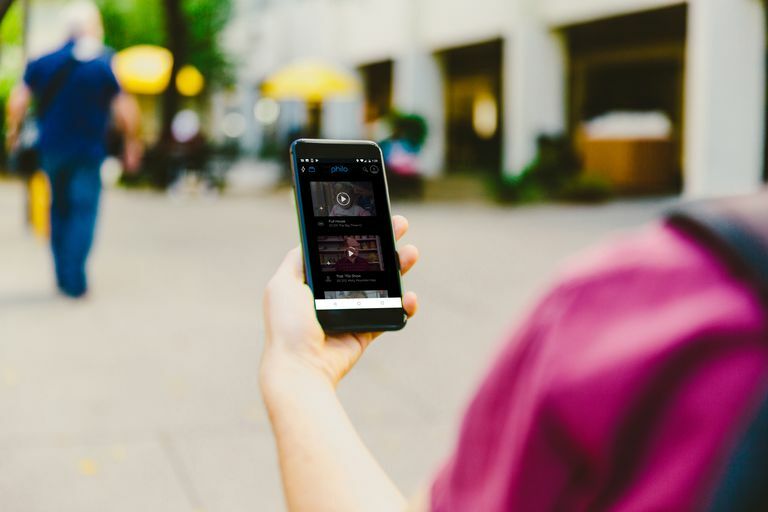 Streaming services that do offer local channels, like Sling TV and DirecTV Now, are only able to offer those channels in specific markets due to agreements with local broadcasters. If you live outside of the participating markets, then those services are only able to offer on-demand content. How Many Shows Can You Watch At Once on Philo TV? When you watch a TV show or movie online through a service like Philo, your device temporarily downloads the video file as you watch the program. This is known as streaming, and each show that you watch through one of these services is referred to as a stream. Most services limit the number of streams that you can watch at once. Philo places that limit at three streams, which means that you can watch up to three different shows, on three different devices, at the same time. For example, you could watch a TV show on your computer while someone else watches a different TV show on a tablet and a third person watches a movie on a television that's equipped with a set-top box like a Roku. How Fast Does Your Internet Need to Be to Watch Philo TV? 1.5 Mbps+ to watch standard definition (SD) quality video. 5.0 Mbps+ to watch high definition (HD) quality video. Additional bandwidth is required to view more than one stream at a time. Does Philo TV Have Any Add-Ons or Special Features? Philo TV is a no-frills streaming service, so it's less expensive than its competitors while also offering fewer options. In addition to only offering two channel packages, there are no optional add-ons or special features. What you see is what you get, and there is no option to pay extra money for extra channels or other ala carte upgrades. If Philo offers the channels that you're interested in, then it's a good deal at a comparatively low price point. Viewers who want access to much larger content libraries and premium features, which come with comparatively higher subscription fees, are better off looking elsewhere. Philo includes a guide that shows all of the live television programs you can watch. Click on Live or Guide. Select the show you want to watch. Clicking Live provides a thumbnail grid of all currently available broadcasts, while clicking Guide provides a traditional programming schedule. Locate the search box in the upper right corner of the homepage. Type the name of the show you want to watch, and then press enter. Does Philo TV Offer a DVR? In addition to live television, Philo lets you save any in-progress or upcoming show to your DVR. Both Philo TV plans come with a digital video recorder (DVR) feature that you can use to record live television. The DVR functionality has both strengths and weaknesses compared to other services. Unlike most streaming services, there is no limit to how many shows you can record on Philo with your DVR. Many services place a limit on the number of hours you can record, or require an additional monthly fee for unlimited storage. With Philo TV, you can DVR as many shows as you want. The downside to Philo's unlimited DVR feature is that your shows are only stored for 30 days. Whether or not you get around to watching a recorded show, it will disappear when the 30-day timer expires. Does Philo TV Offer On-Demand Content? Philo offers two different types of on-demand content, including episodes of many popular shows. To see whether or not Philo offers on-demand episodes of any given show, you can simply navigate to the profile of the show you are interested in and look for the video-on-demand (VOD) tag. If you see the VOD tag, that means the episode is available on-demand. In addition to traditional on-demand episodes, Philo also has a 72-hour rewind feature. This is a feature that some streaming services offer that allows you to watch many shows on Philo up to 72 hours after they initially aired even if you forgot to DVR them. Can You Rent Movies From Philo TV? You can't rent movies on Philo, but you can save upcoming movies to your DVR. Philo does not offer video rentals through the site, although several of the channels included in both packages do air movies. This allows you to watch some movies through the on-demand and 72-hour rewind features, and you can use use the DVR to record movies in advance. If you're interested in a low-cost, no-frills live television streaming service, but you also want to rent movies from time to time, it might make sense to use Philo for your live TV and supplement that with video rentals from a service like VUDU, iTunes or Amazon.